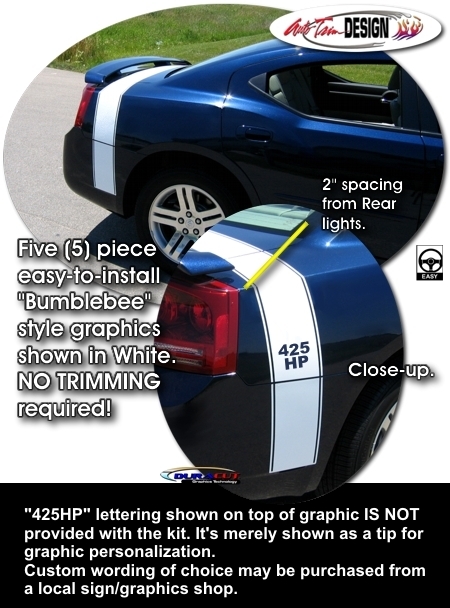 Celebrate history and "toughen-up" your '06-'10 Dodge Charger with this retro "Bumblebee" stylized graphic kit. Overall stripe width is 7" (17.78cm) and features a .25" (6.35mm) pinstripe at each side as shown. "425HP" lettering shown IS NOT provided with the kit. It's merely shown as a tip for graphic personalization.